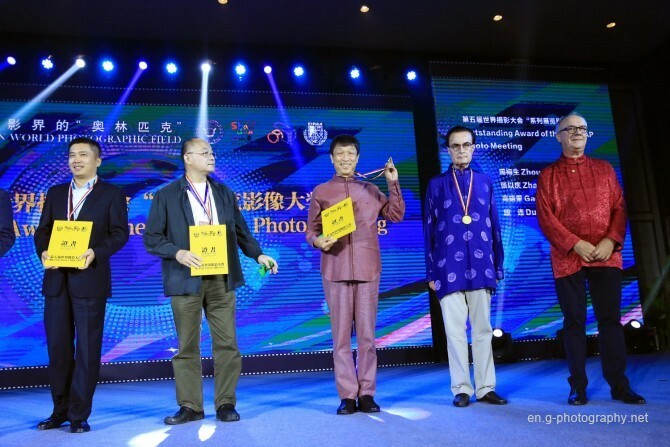 On August 14th, the 5th FIAP Photo Meeting Awarding Ceremony and closing dinner took place at Meridien Hotel in Qingdao West Coast New Area, where a total of over 400 photographers attended the ceremony. 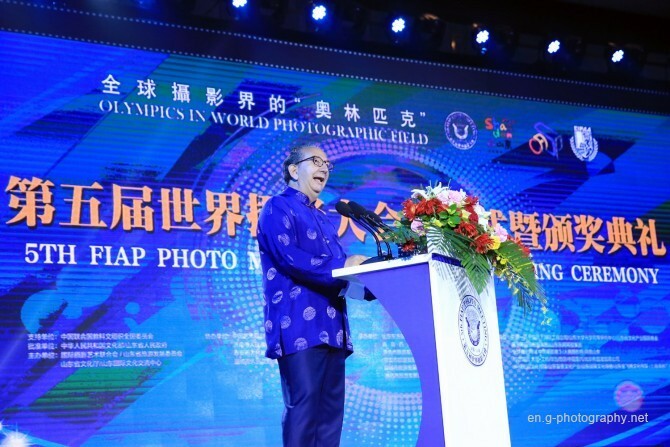 Riccardo Busi, president of FIAP addressed that photographers coming from all over the world to gather in China, a traditional and beautiful country. It is a great honor for them to travel across Shandong Province, from cities to towns, from lofty Mount Tai in Tai’an to the vast ocean coast in Qingdao. Every one has been given the chance to capture fantastic landscapes, folk costumes and folklore activities. Besides, Mount Tai was approved as a world photography site by FIAP, with the aim to attract more photographers. The hospitality, passion and friendliness of Shandong people are indeed great treasures. 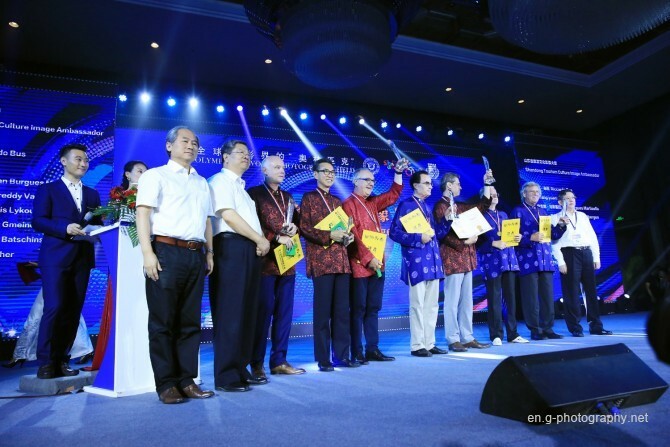 During the ceremony, a number of awards were presented to individuals and organizers who contribute greatly to the success of the 5th FIAP Photo Meeting. 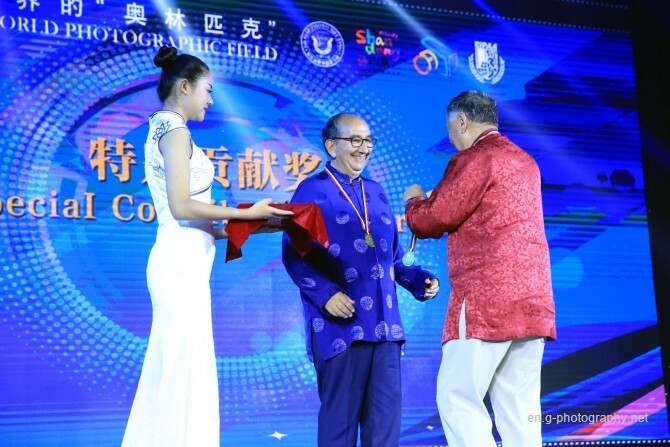 Riccardo Busi and Yang Yuanxing were granted the title of “Image Ambassador of Shandong Tourism Culture”. Busi also won the “Special Contribution Award”. Some other awards were also presented, including “Series Exhibition Award” “Outstanding Organization Award” and “Individual Contribution Award”. 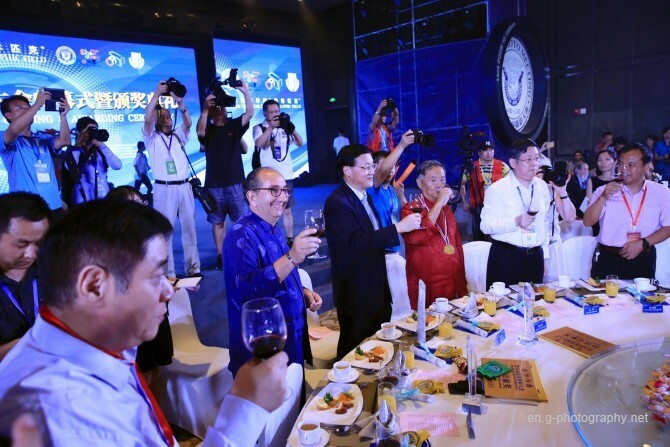 After the awarding ceremony, all the guests enjoyed a feast of joy at the closing dinner. The 5th FIAP Photo meeting concluded in a great success. 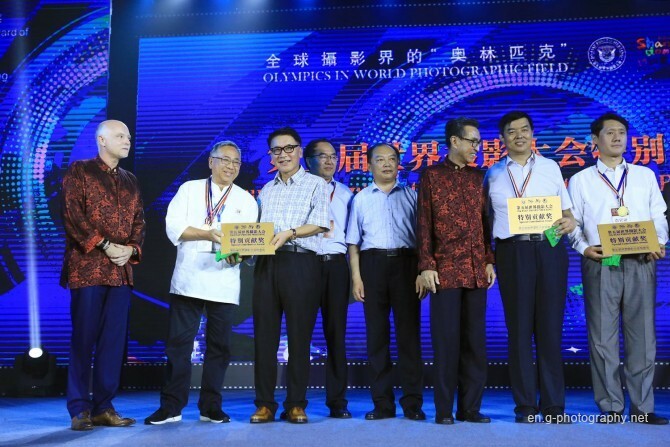 Mount Tai approved as World Photography SiteOn August 10th, Mount Tai was approved as the first "world photography site" by FIAP. Witnessed by more than 300 photographers, the unveiling ceremony took place at the top of Mount Tai. This is a great highlight of the 5th FIAP Photo Meeting.